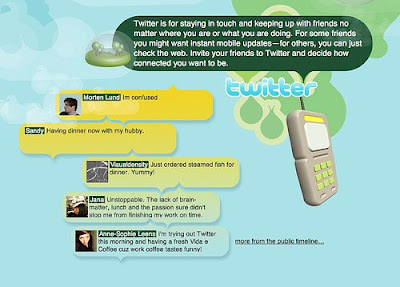 Finally, after looking for two weeks, I come across this website: TwitterButtons.com. It is fairly easy to set up. All you need to do is to type in your Twitter user name, pick out the design that you like, copy the code, and paste it to your blog. Here is an article about this fast growing social bookmarking site: How to Make Your Site Go Viral on Twitter. It might be a good thing, but I just don't have the time for anything new!